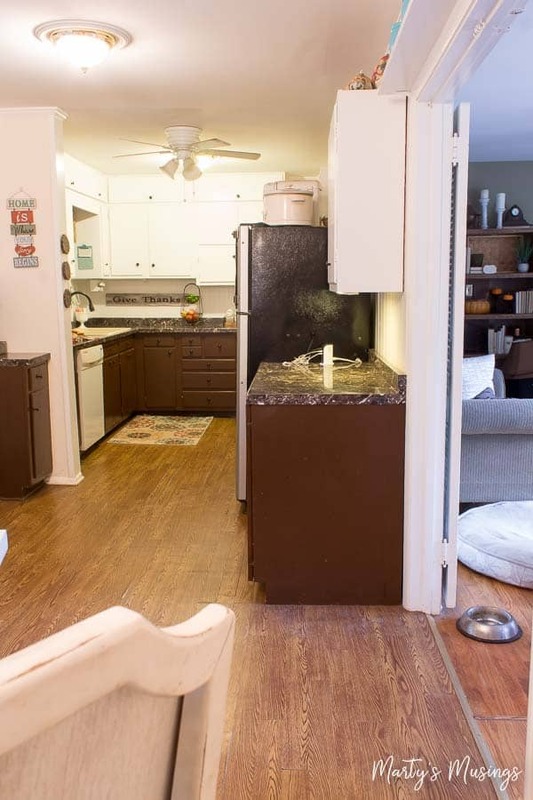 Small Ranch Home Kitchen Remodel: The Dream Begins! 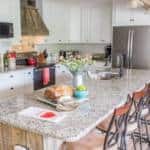 A dated 1950’s home is transformed into an authentic beauty in this small ranch home kitchen remodel with the removal of a wall and opening up the rooms. It all started with one little question. If you could dream a little, what would you think about…….? Have any of you wives had that same kind of conversation with your husbands? Just a little “thinking out loud” kind of wondering? For my DIY husband and I these talks always seem to center around our home, mainly because we’ve never had extra money for travel or fun splurges. You know. Just a simple little question. Just a little bit of dreaming in between a bite of chicken salad and couch time. My husband and I bought our 1950’s ranch style fixer upper almost 26 years ago. We had no idea what we were getting ourselves into. 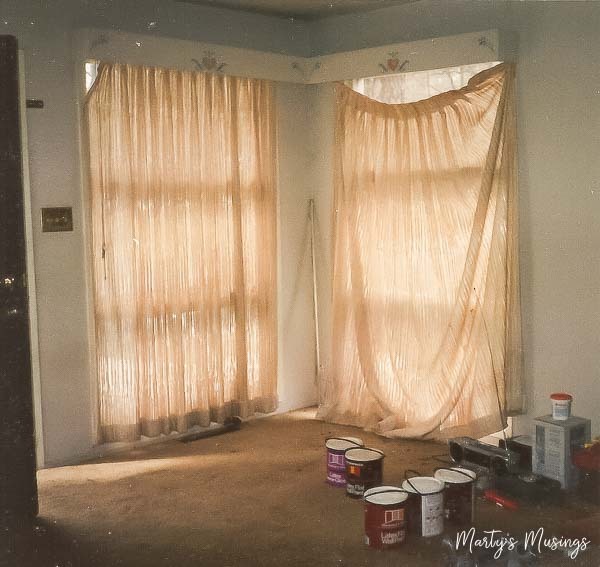 The home we’ve now lived and loved in for 25 years, raised 5 kids and a whole bunch of animals in, was in need of major TLC! 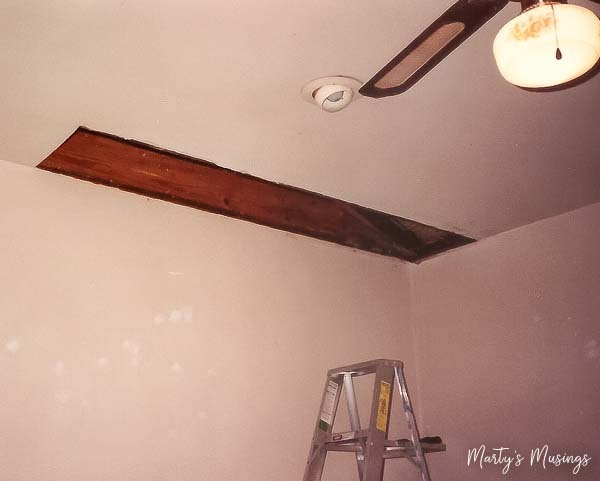 We didn’t know that the hole in the living room ceiling was merely an easy way for former tenants to water the plants. 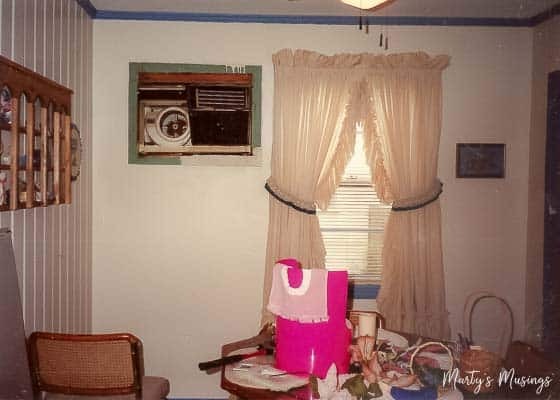 Or that an air condition window unit still in the kitchen when there was central air in the house might not be a good thing. Or the fact that the house had been added on to from the back side but nobody bothered to take out the window glass! Apparently the owners didn’t want these lovely drapes either! 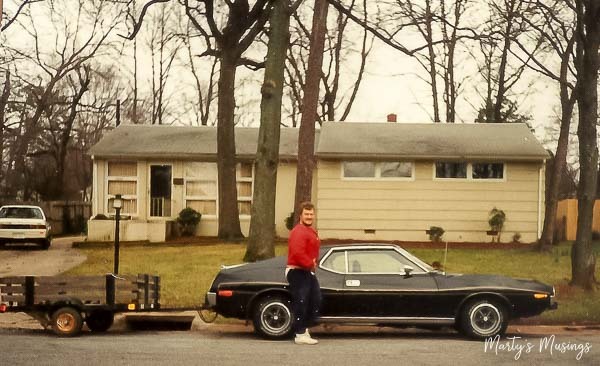 Maybe even purchasing the home from a friend who was a used car salesman could have been a red flag. I look back and know my parents showed incredible restraint resisting telling us we were out of our ever loving minds. But we were young, clueless and God had a bigger plan in mind! While we only had one child when we moved in, God knew we would give birth to another while adopting a sibling group of three more kids in the years to come. We would need every single square inch of this space just to survive raising the Walden bunch! After refinancing twice during these years, we are now one year from being mortgage free. 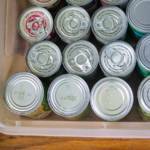 But…….we still live in a home so badly in need of fixing it’s beyond our ability to save for in real time. 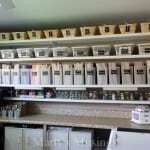 We also have a home equity line we used to pay off huge medical bills and the loss of income from my husband’s two rotator cuff surgeries and health scare last year. Which brings me back to our date night and one simple little question. 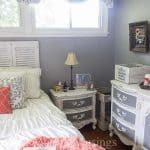 Tim and I had been talking about the floors in the kitchen and living room, replacing three different surfaces with laminate flooring to give us a cohesive space. 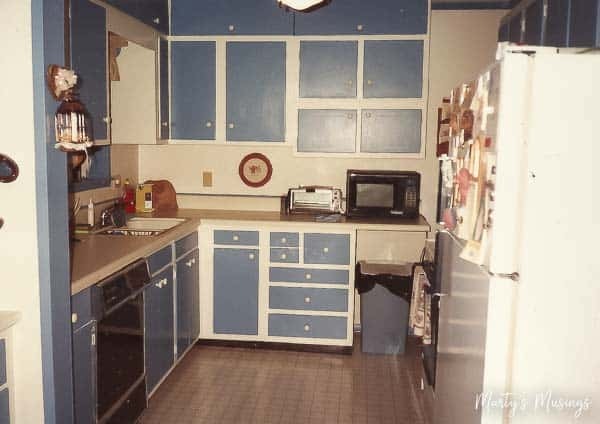 But what about those kitchen cabinets I purchased right off the walls of someone else’s kitchen remodel 25 years ago? Why yes, I did! Does that even surprise any of my faithful readers? I was a yardsaler before it was cool to be thrifty and repurpose! No matter how many coats of paint Tim applied, they just look outdate, as a friend of mine pointed out. Anyone wanting to buy our house would look at the kitchen first. If we were going to do anything to our ranch home kitchen the logical time would be now before we did the floors. At that very moment I imagined I was Joanna Gaines and inspiration struck. Yes, take down that wall! I could envision it so clearly. No longer would I be stuck in the kitchen while my family visited. I could see an island in place of the wall, with seating for the grandkids and nieces and nephews. No longer would our kitchen be a dark hole but light would stream in from our large living room windows. 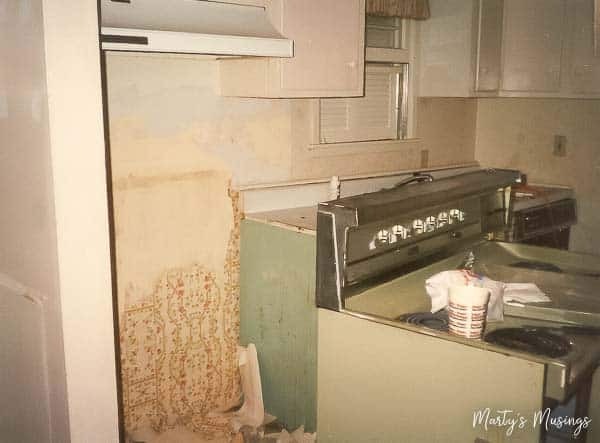 Ummm, honey, what would you think about taking down that kitchen wall? Not good at all, folks. Not good. While I dreamed of white cabinets and granite countertops my hubby saw his life consumed by never-ending to do lists. When I broached Tim with that one teensy question dreaming, a “what if” scenario all he could see was no mortgage payment in a few months. All I could see was a home so badly in need of repairs that all my “prettifying” wouldn’t help us sell it if we needed to. Let’s just say our conversation quickly deteriorated, date night ended poorly and dreams of a new kitchen were flushed down the toilet. Did I mention we also have a bathroom that needs to be gutted and redone? Yep, for my husband who thinks in the short term and his wife who likes to plan things years in advance, I should have spent more time planning that conversation than dreaming of a new kitchen! Are you feeling my pain yet? I’m happy to say over the course of several days and weeks we began dreaming together. 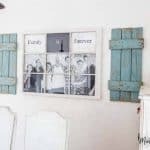 My goal with my blog is to walk beside you and share tips and advice to help you create your own treasured home, one thrifty project at a time. While our new ranch home kitchen remodel is definitely on the larger end of the scale I can assure you I’ve agonized over every.single.decision we’ve made so far to stretch those dollars until they holler! 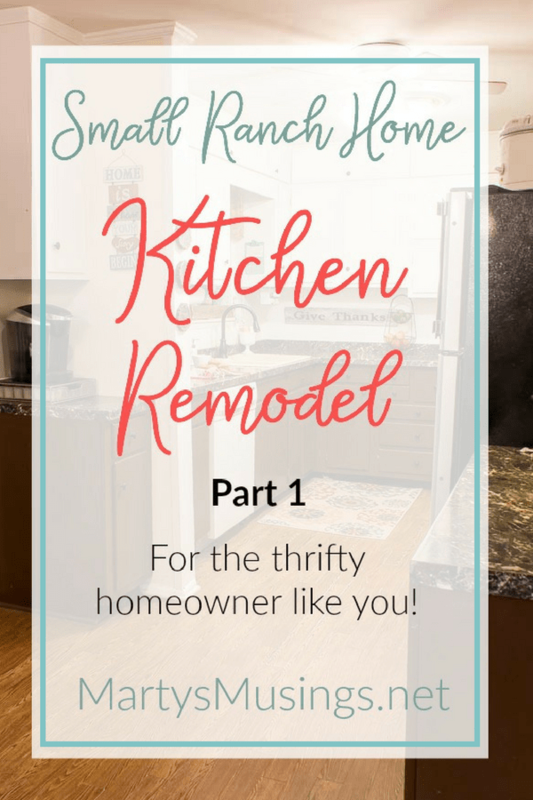 I hope you’ll join me for this ride as I share the ways I’m finding to save money on a large scale DIY project and continue to share my yardsale treasures as well. If this inspired or encouraged you I’d be grateful if you’d pin this post or share it on Facebook. I’ll bet you know someone who wants to dream a little, too! I love your thoughts and musings! God takes us from wherever we are to where we ought to be one day at a time. I appreciate you and your blog! 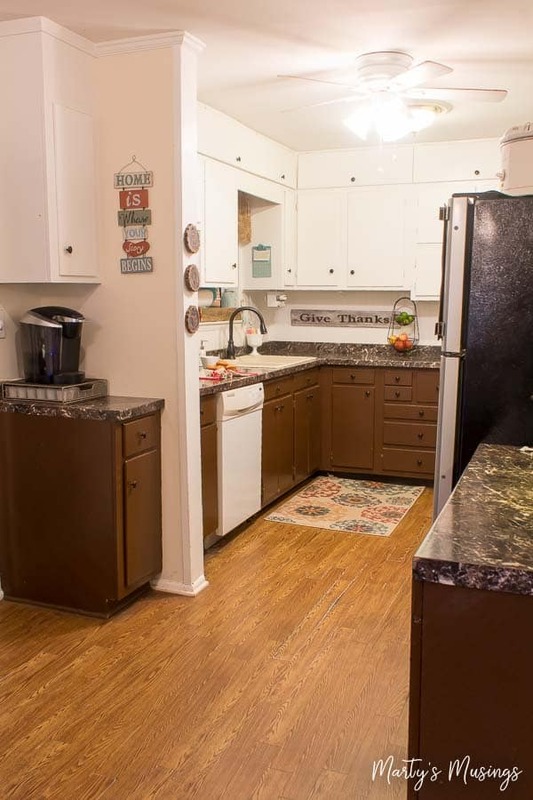 I want to see your kitchen makeover. I love to look at projects and where they come from and where they go. That includes the life the projects take on of their own. Just a thought, though, I don’t think that “channeling” and being a Believer go together. Hi, Marcie. Thanks so much for reading and being an encourager! Our lives are definitely an example of a good before and after, just like our home. I appreciate your comment about channeling as well and changed that sentence to better reflect my faith. Thanks for following along on our journey! All things in God’s time and it looks like your time has come. Can’t wait to see what you do with it! Hi, Karen. Yes, in God’s time all things are made new. This kitchen just has had to wait a LONG LONG time! Thanks for following along and sharing in the process over the next few months. Make sure you’re a Facebook follower because I’ll be doing live videos on my page. Have a great day! So exciting! I can’t wait to see what y’all do! Love you! Hey, girl! 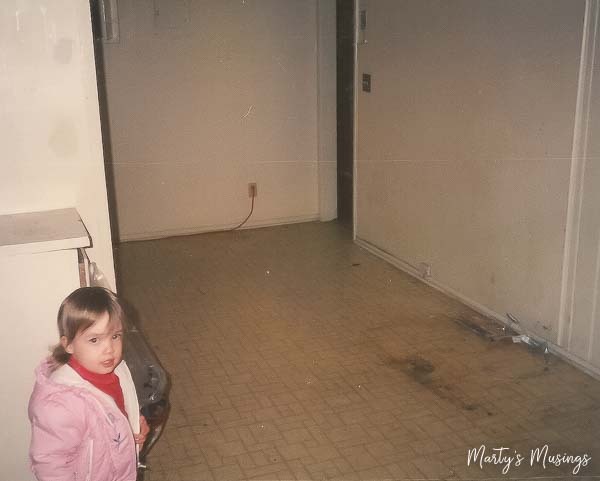 I’m afraid our kitchen will be much like your family room/pantry/mold project that would never end. We’re just considering it an adventure, albeit a VERY expensive one! Before we ever started we started running up new expenses. Not a good sign but that’s just how we roll. Miss you! 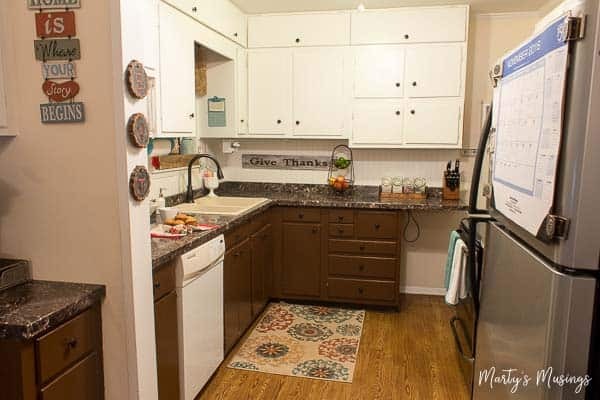 Have you finished the kitchen counter top? Hi, Shirley. 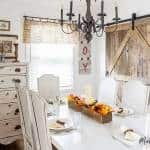 You can see the whole kitchen in this post: https://www.martysmusings.net/2017/12/rustic-christmas-kitchen-decor.html Thanks for asking!